.220" x 48" x 96" Acrylic Clear Mirror Sheet | U.S. 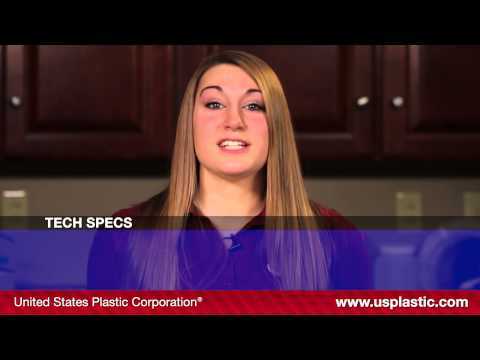 Plastic Corp.
Acrylic Mirror is an excellent way to make a statement about yourself and your company. It allows you to stand out from the crowd and give your product individuality. Excellent for making signs and graphics really stand out. 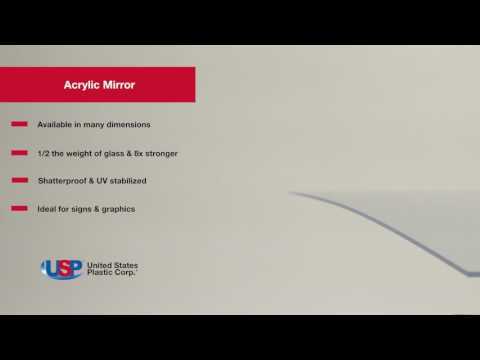 Half the weight of glass and 8 times stronger, acrylic mirror is shatter-proof. It is UV stabilized and has a working temp range of -40°F to 180°F. 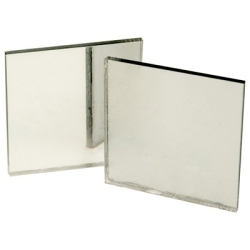 Clear mirror sheet is UL 94HB. Sheets larger than 36" x 48" must ship motor freight.Please Note: Acrylic sheet is a rigid sheet but it is not as rigid as glass. If you attach our mirror to a curved surface or uneven wall, and most walls are uneven, you will get a "fun house" look to the mirror. We suggest that you use 5/8" or 3/4" plywood as a backing. 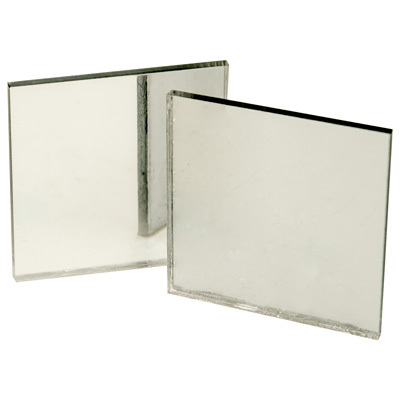 The 3M560 Adhesive below can be used for mounting the mirrored sheet to the plywood backing.